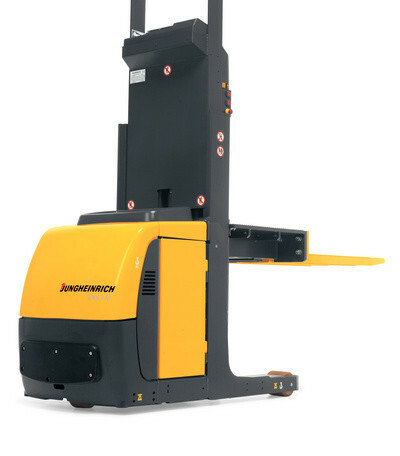 The Jungheinrich EKS 110 is the ideal truck for order picking from the first to the third levels. The platform and load section are raised together up to a lift height of 3000 mm. 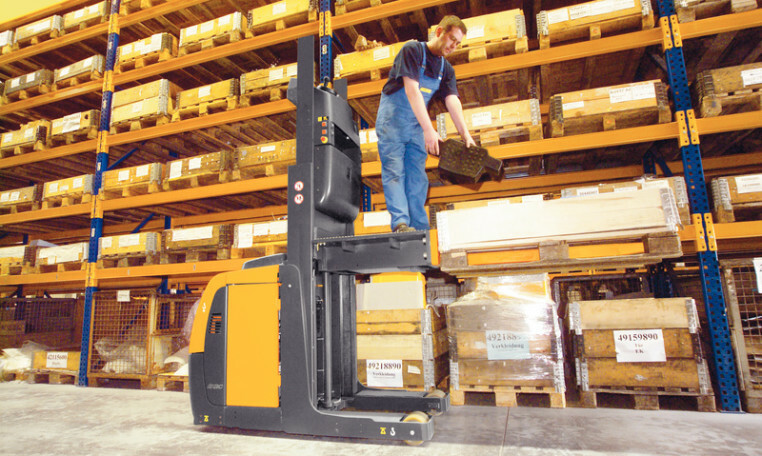 This allows operators to pick up to a reach height of 4600 mm. The counterbalance design allows a wide range of load storage units to be raised off the ground both longitudinally and crosswise. 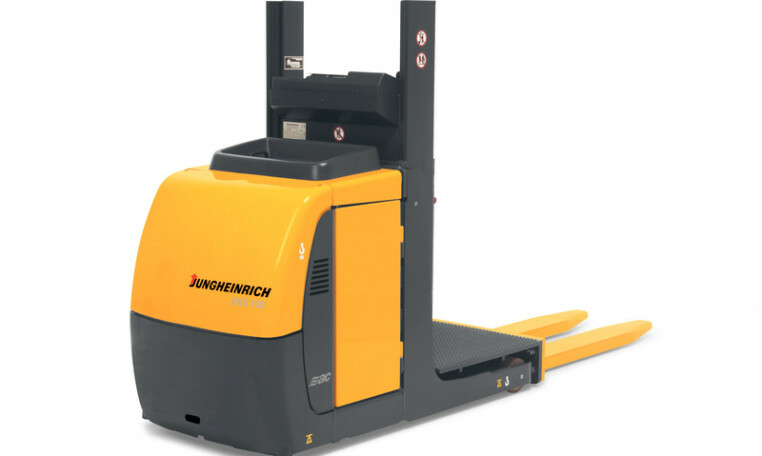 The load section is optionally available in either a walk-on design (with guard) or with an additional lift (without reducing residual capacity). 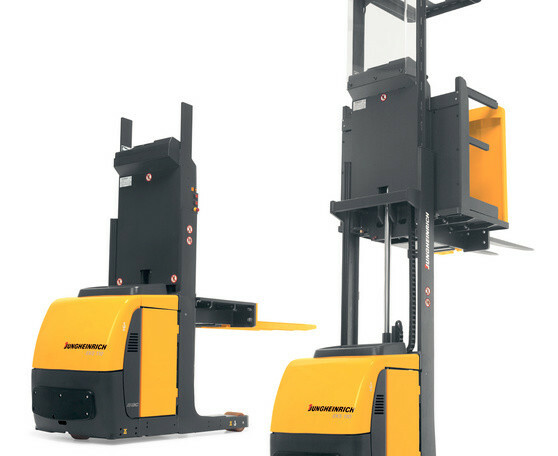 The additional lift ensures that the picked goods can be stored at an accessible height. There are large storage areas on the battery lid (optional) and below the control unit. Precise control of travel speed. A choice of travel programs. 3-phase AC drive system (24 V). 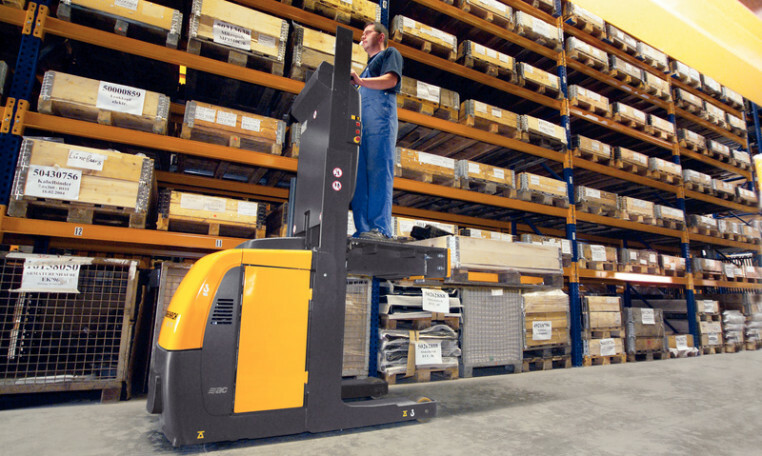 The EKS 110 is the ideal truck for order picking from the first to the third levels. The platform and load section are raised together up to a lift height of 3000 mm. This allows operators to pick up to a reach height of 4600 mm. Rapid reversing without 'needing to think'. No carbon brushes - maintenance-free drive motor. Two-year warranty on the drive motor. Tangible comfort for the operator. Additional protection for sensitive loads. Minimised wear through reduced dynamic stress. The speed indicated by the travel switch is maintained in every situation. By programming the traction controller to suit the application at hand, sensitive shunting is possible even at low speeds. Adjustable travel parameters (e.g. 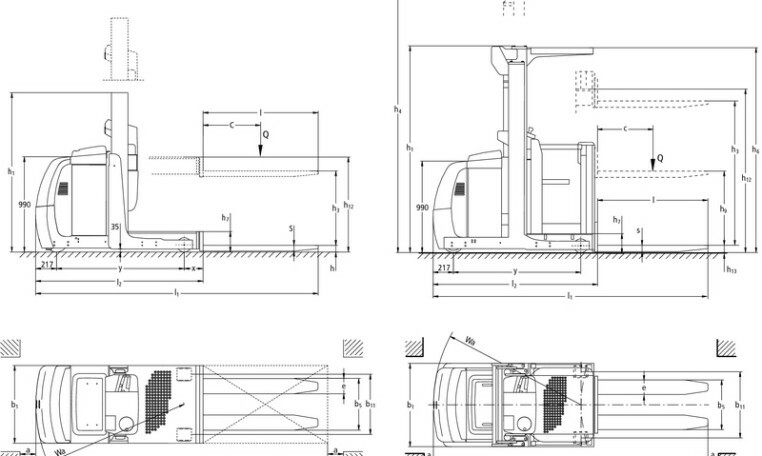 acceleration, limit speed, motor brake) allow you to tailor the truck to your individual requirements. The operator can choose from 3 different travel programs. Very low noise levels when lifting and travelling. High-quality control instruments displaying the most important operating data. Travel direction and steer angle display. Selected travel program with performance features. The tilted steering wheel supports natural hand movement and avoids placing strain on the operator's wrists. Easily accessible buttons and switches allow comfort operation of the truck with minimum hand movements. Stable cornering thanks to low centre of gravity. Steel supports provide extra tip over protection in extreme situations. Optimum use of maximum permissible travel speed through a combination of lift height and steering angle dependent speed reduction. Maintenance-free AC drive motors without carbon brushes. Easy access to all units through easy opening front/side panels and optimised layout of auxiliary hydraulics. Pallet protection for walk-on load handlers. 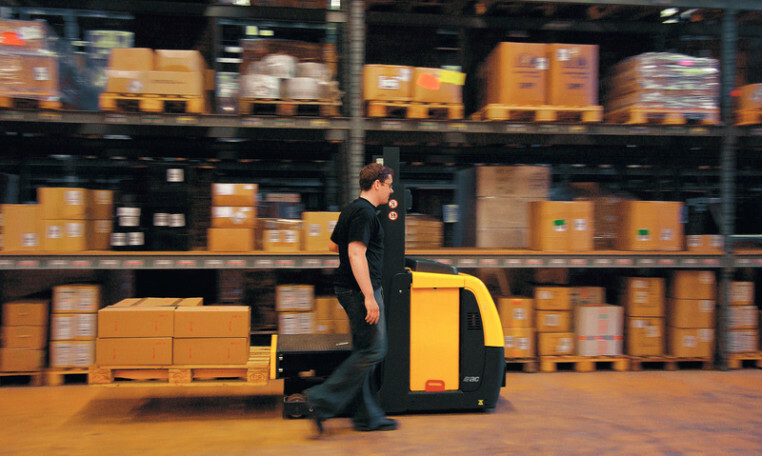 Guidance controls, aisle recognition and end of aisle control for use in narrow aisle warehouses. Second operator position in fork direction. Working lights on overhead guard.